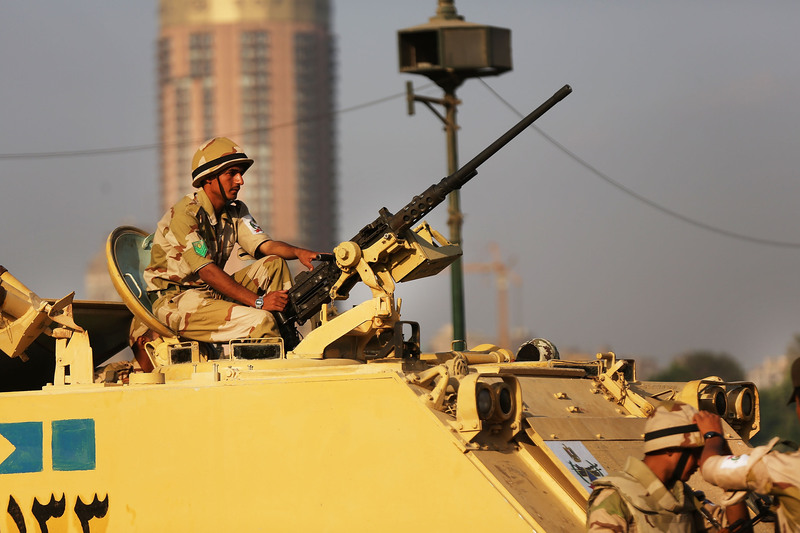 After a period of intense debate over the United States' role in Egyptian affairs, Congress appears to be moving forward with a $1.3 billion military aid package to the conflict-ridden country. The aid, however, would only be supplied under the condition that Egypt's interim government follows through on its promise to hold free and fair elections and to protect other critical democratic institutions. Egypt was thrown into chaos nearly two weeks ago, when President Mohamed Morsi was ousted from power and replaced by a military-backed interim government. Since then, the Obama Administration has struggled with the choice of whether or not to call the event a military coup, a definition that would prevent Congress from supplying the new regime with any kind of aid. The Republican-backed Egyptian aid package, which cuts $250 million of non-military economic assistance for the country, is just one element of the House's annual State Department and foreign aid budget. The package proposed by the House GOP this year places severe restrictions on non-defense related foreign aid, while favoring programs like U.S. embassy security. The House Appropriations subcommittee will debate the bill on Friday, readying it for the full committee's review sometime next week. Next, the Senate Appropriations subcommittee will have a chance to submit its own version of the bill. Once a final version has been agreed upon, the bill will go to the president for approval.